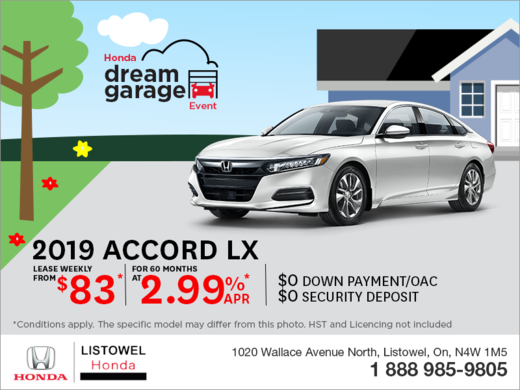 Special offers on all our Honda vehicles, services, and products. 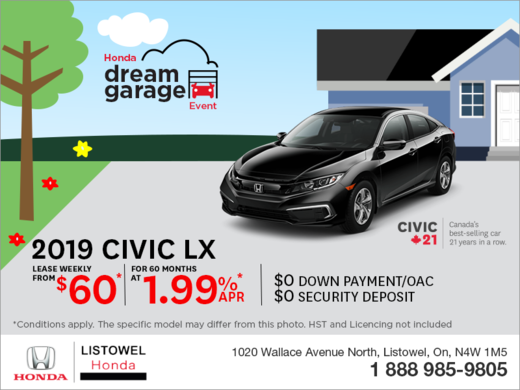 At Listowel Honda, we’ll help you save money on all of your Honda services, products, and maintenance. 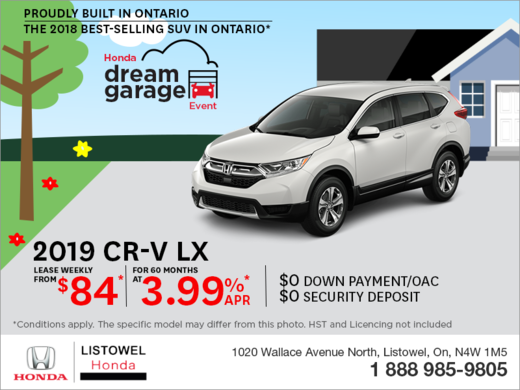 We believe that giving you more for your money and providing value to our clients is paramount to building our long-term clientele, and that’s why we make sure you save at every visit. 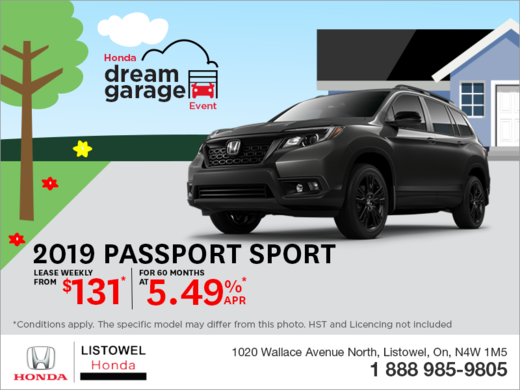 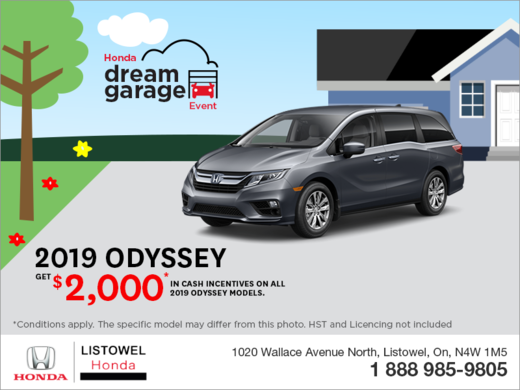 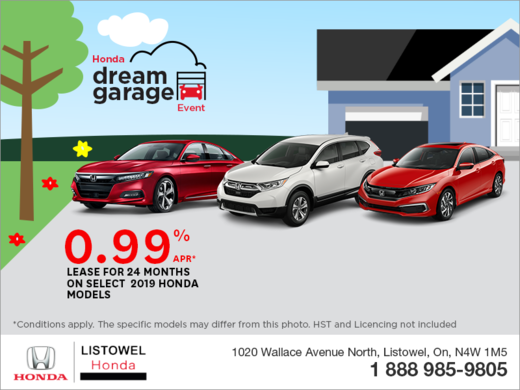 With a combination of in-house promotions, seasonal special offers, and manufacturer promotions, getting more bang for your buck is easy at Listowel Honda. 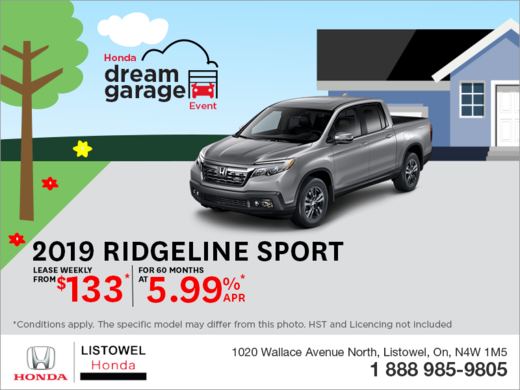 Check back often to this page to learn more about all our special offers. 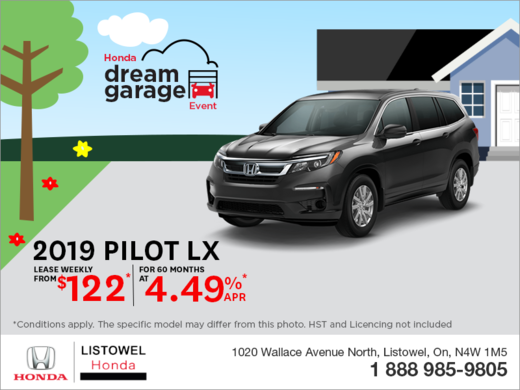 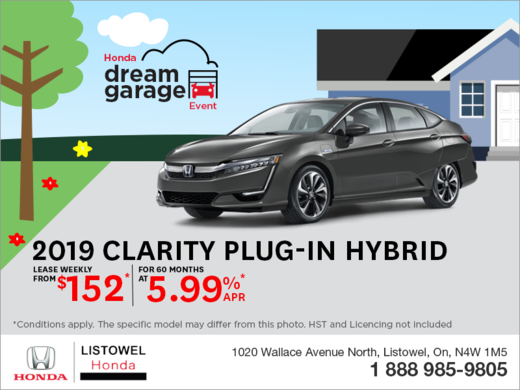 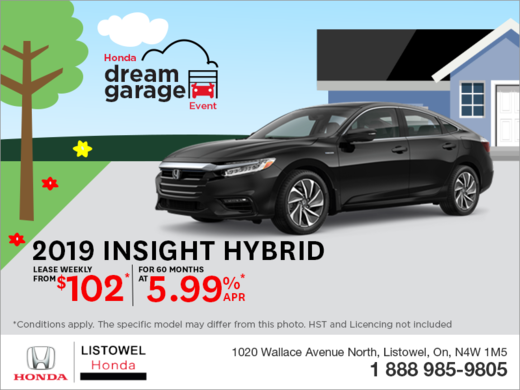 Come and save today at Listowel Honda. 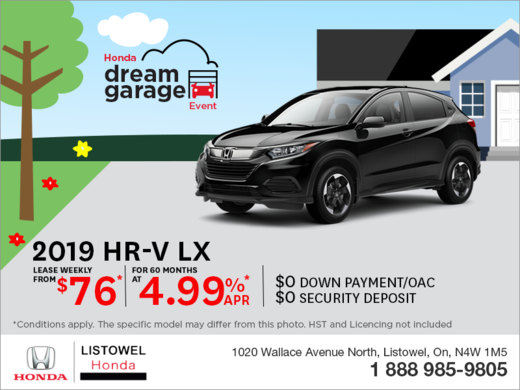 We have deals and promotions on our new Honda vehicles which are updated every month, special financing and leasing rates, and promotions on our pre-owned models as well. 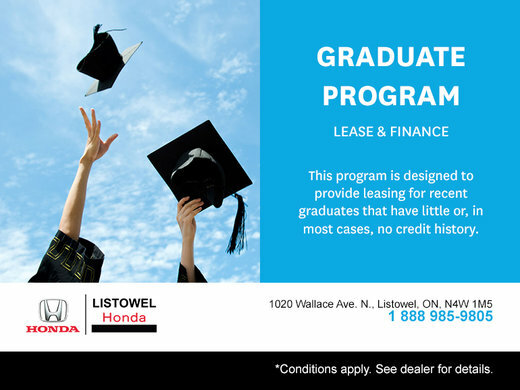 At our service department, you will be able to save on all our after-sales packages and departments. 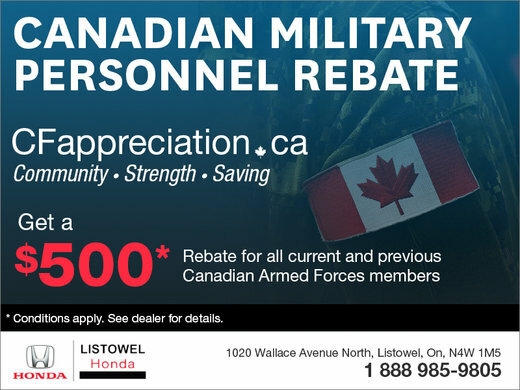 We can give you rebates on your maintenance, oil changes, parts and accessories, and detailing packages. Come to Listowel today, and let us give you more value on all of our Honda products and services.